Memories are one of the most important treasures we share with family and friends. One of the fondest New Years memories of Anuj for his parents was his call to them at the stroke of 12 in the year 2000, the year that marked the turn of the millennium. Anuj being ever thoughtful, made it a point, to wish them a Happy New Year from MIT while his parents were still in India, on this once in a lifetime moment. With the onset of the New Year and the fireworks lighting up the skies as we bid adieu to 2007 and welcome 2008, we are reminded of how Anuj is a shining star in the sky. He has left behind a legacy that inspires us to live by his example everyday. In the year 2008, it is our resolution to make his dreams come true and in turn keep his memory alive for years to come. 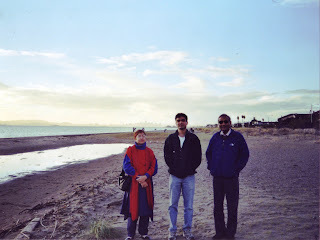 Anuj with Mom and Dad at Pebble Beach. 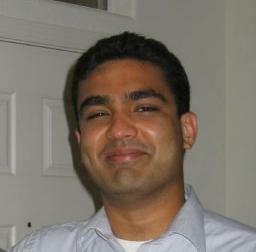 December 2003.